Home » Do I Need Workers Compensation Insurance? Workers compensation insurance provides benefits to individuals who become injured or ill while on the job. The amount of required workers’ compensation insurance coverage varies by state, and New Jersey has specific laws regarding how and when workers’ compensation must apply. 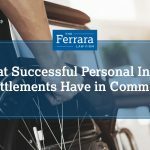 Workers comp insurance is purchased by an employer, and in exchange for this coverage, the employees agree not to initiate any personal injury claims against them. What Constitutes Workers Compensation Insurance? Workers comp insurance provides workers with compensation for medical expenses, lost wages, and rehabilitation costs when they are injured or become ill during the course of their work. This insurance also pays compensation to families of workers who are killed while on the job. The rates for each class of workers is influenced by the prior five years of lost costs for all companies that operate within the class. Rates are ultimately charged in comparison to the actual loss that is experienced by a class of workers. A system referred to as “experience rating” permits modification for the class rates based on the loss history of an individual company. This system allows business owners a substantial amount of control over the cost of their workers’ compensation premiums. Employers with a low number of workers or part-time workers do not need to carry workers’ compensation insurance. Even if an employer has only a single employee, a workers’ compensation policy is a good option. The costs associated with work-related injuries can quickly add up. Having an adequate amount of workers’ compensation insurance can help offer a substantial amount of protection. Employees will never sue their employer. By not having a workers’ compensation policy, an employer opens themselves up to being sued by injured employees. Damages connected to injuries caused by a workplace accident can skyrocket. Without adequate insurance coverage, employers can end up financially responsible for substantial damages. Workers’ compensation is too expensive. Workers’ compensation insurance coverage is actually quite affordable and is a much better option than ending up facing the costs associated with an on-the-job injury or personal injury claim. Who Must Carry Workers Compensation Insurance? With few exceptions, New Jersey, as well as all other states, require companies with workers who are not owners to purchase workers compensation coverage. Companies that fail to provide workers’ compensation coverage can face substantial costs including payment of claims out of pocket as well as other fines. If you have questions or concerns about workers compensation, you should not hesitate to speak with a knowledgeable attorney. 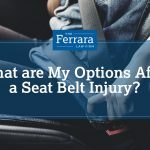 At Ferrara Law, we understand the complex issues involved with workers compensation and will remain committed to fighting for the results that injured workers deserve. Contact us today to schedule a free consultation.